Eleanore Ann Racicot died peacefully in her sleep on September 16, 2015 just days after her 90th birthday. She was the younger daughter of Anna and Wilhelm Wischka, born on September 12, 1925 in Detroit, Michigan, where she grew up. She spent several of her early years in Germany and was very attached to the Austrian-German traditions of her parents all her life. After attending Michigan State, she moved to Southern California, married and had six children, five of whom survive her; her son, Lee, predeceased her only last year. Eleanore lived in Riverside, California most of her adult life, where she was an active member of the community, serving many years in the Riverside Panhellenic, Assistance League, and the Friends of the Mission Inn. 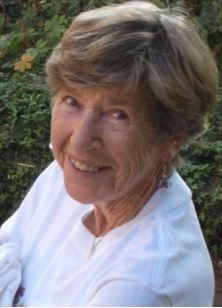 She was an avid walker and tennis player, loved her bridge group, music, and dancing to big band tunes, and often attended the ballet and philharmonic. She lived a full life as a devout Catholic and a dedicated mother and friend. She loved to travel and had many creative interests, leaving many hand-crafted gifts of love behind her, including beautiful stained glass pieces that grace our homes. 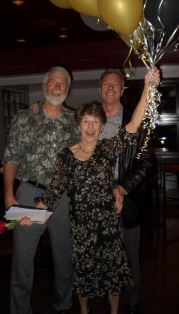 Eleanore was a warm, humorous, delightful person and was much loved by her family and many friends. She will be greatly missed, especially by her children, Dr. William Racicot (Sheilamarie), Mark Racicot (Linda), Patricia Racicot Manso (Joseph), Lynn Racicot Reilander (Jerome), and Mimi Racicot (Jani); grandchildren, Kelley Seward (Adam), Aaron Racicot (Heather), Lauren and Marisa Manso, Elli Reilander Leslie (Mike), Steven, and Mitch Reilander, and Kerrie, Jessie, Rene Capps (Wes), Jake, and Casey Racicot; and four great-grandchildren. Memorial services will be held at a later date. For those who have expressed interest, her charity of choice was the Cystic Fibrosis Foundation. With great regret and sadness we learned of the passing of your lovely Mother, Eleanore. We will forever hold in our hearts the wonderful memories of Victoria tennis, Alcott and Poly High sports for our families, fun parties and dear old friends along the way. Eleanore was a wonderful Mother and friend. She will be missed. She was very special. You are in our hearts. Love. Jerry and Pat Kelley and the Ottmann girls. Karen. And Kelly. Eleanore was an important part of a group called "The Ladies" which met each month for dinner and conversation. We also went on many trips together - especially notable for our two-week car rental exploring England, and a boat trip on the Great Lakes. The Ladies were a support group for each other, helping out in many ways. Memories are happy ones.